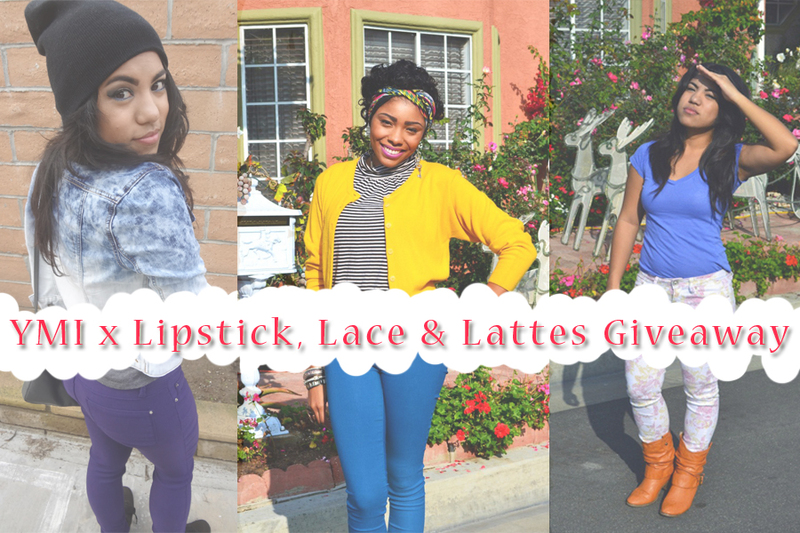 We really appreciate all the love and support you have continuously shown since our official launch (April 2012), and we thought what better way to show it than with a giveaway?! If you’ve been following our “Outfit” posts recently, you’ll notice that Hazzle and Bella have been rocking gorgeous, colorful YMI Jeans as of late… Well, we’ve teamed up with YMI to offer the exclusive opportunity for one of our readers to win a pair of your own!! Win one of these awesome pairs: Blue, purple or floral! Hazzle is wearing the purple hyper stretch by YMI Jeans. This is one of her favorites because it’s really comfy! 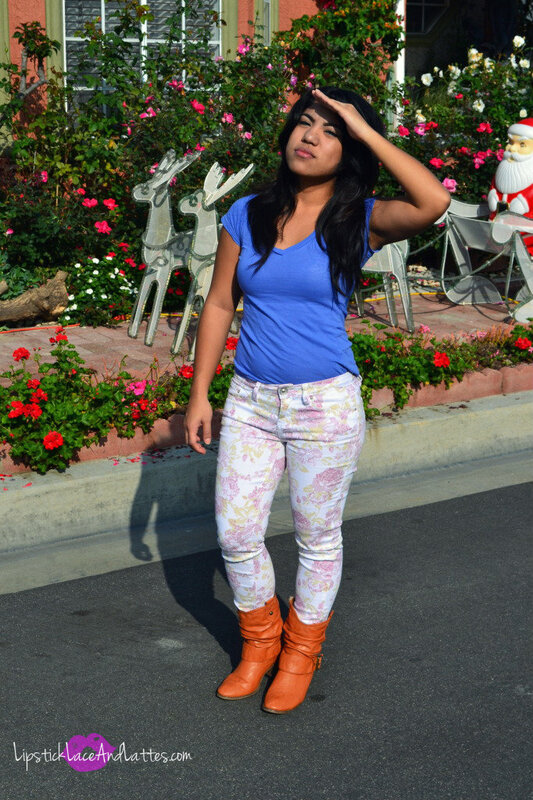 The Floral YMI Jeans add so much flavor to your outfit. It’s soft and feminine. 3) Leave a comment below stating which pair of jeans (pictured above) you want, your email and Twitter or Instagram username. Make sure your email is correct! Winner will be contacted via email! 4) For an extra entry, leave a comment on @lipsticklacelattes Instagram with the hashtags #YMINewYear and #LipLaceLattes in your comment. The winner will be picked through a randomized computer generator. Those who follow all directions will be entered. The giveaway will run for 2 weeks and the winner will be picked on January 23. I have followed you! It is lovely jean! Please have a look of my free necklace giveaway as well! I want the BLUE one hehehe (: ♥♡ love you ladies! How lovely! My favorite color is purple so I definitely like the purple one! Thanks. I have some giveaways in my page too so please feel free to join. I’d love the purple ones! I followed both fb & instagram !